Preparing Future Faculty is a national program developed to support graduate students to cultivate the skills needed to become an effective faculty member. 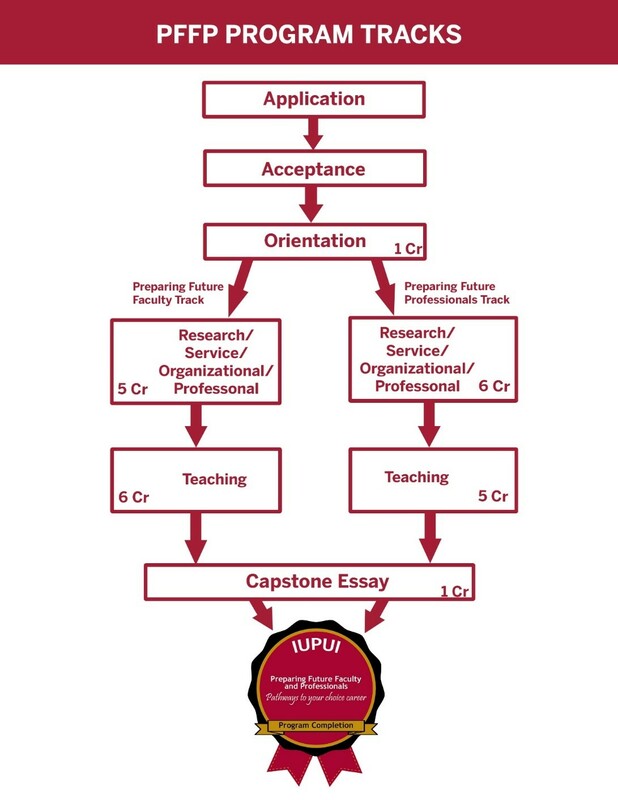 The IUPUI Preparing Future Faculty and Professionals program builds on the PFF model to include scholars who are interested in pursuing both academic and non-academic careers. This program targets competencies in teaching, research, organizational/professional and service areas by providing scholars to choose from the two tracks. Attend and participate in specific events/workshops targeting the four competencies (teaching, research, organizational/professional and service) for minimum of 12 hours. Complete a capstone essay that provides an opportunity for the scholars to reflect on their experiences throughout the program. 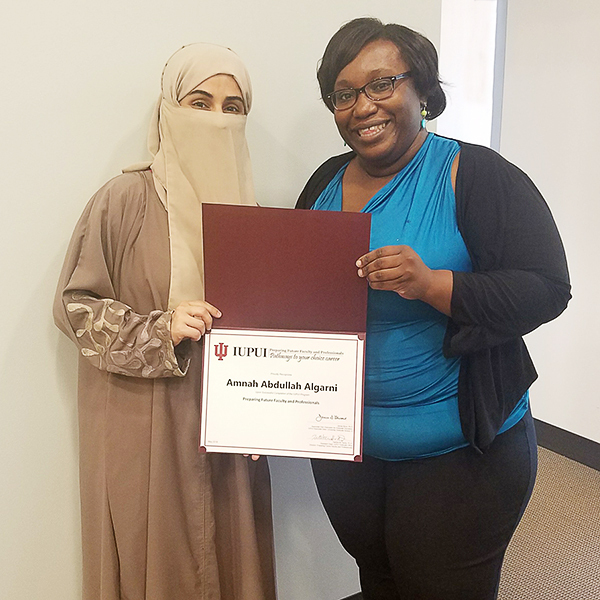 Upon completion, the scholars receive PFFP certification and a digital badge to boast on their professional profiles online. The PFF track provides participants targeted seminars and hands-on activities related to research, teaching and service. 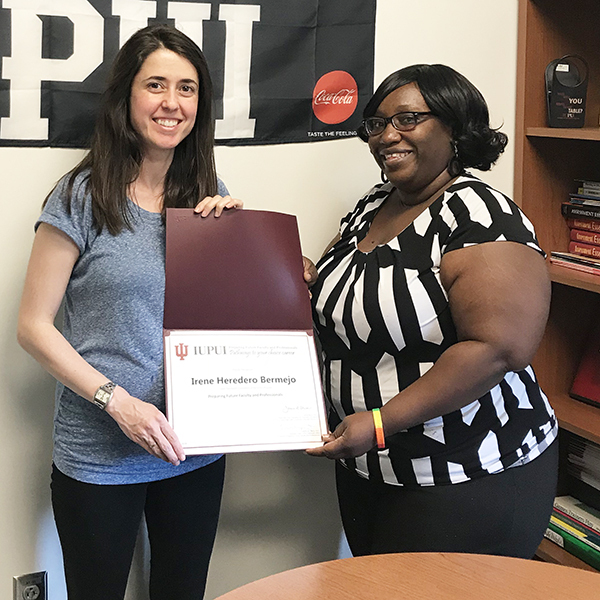 The PFP track provides career awareness, and management through outcome-based activities for the versatile use of their degrees.